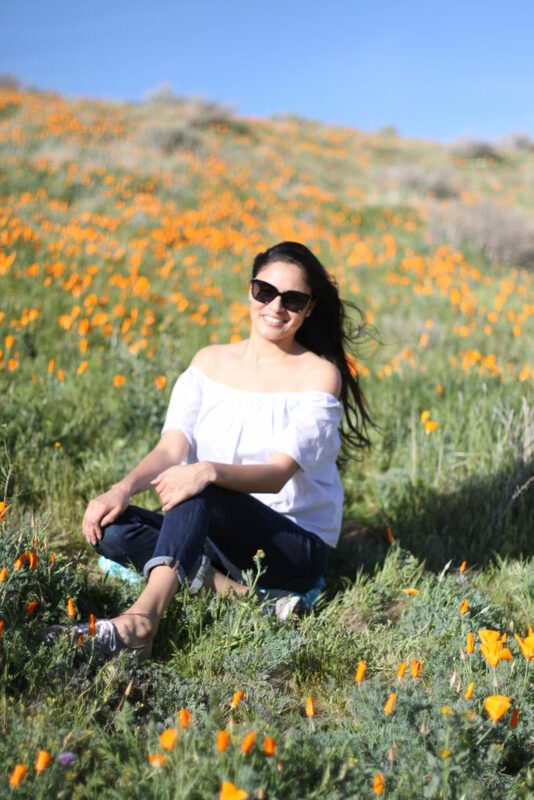 Last weekend my cousin and I wanted to spend some time together so we headed out to the Antelope Valley California Poppy Reserve. 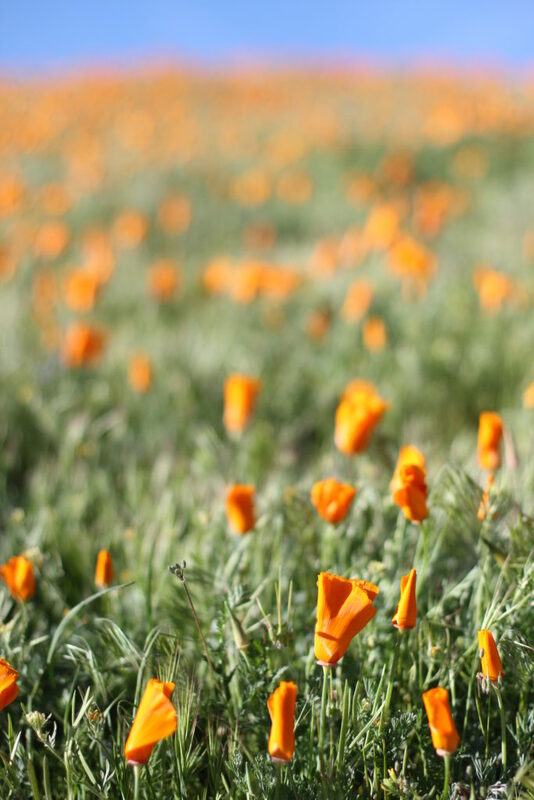 I have been wanting to go to this location for a while and we decided that we would take a drive out to Antelope Valley and see the blooming poppies. It’s about a 50-minute drive out of Santa Clarita where I live and we took San Francisquito Canyon all the way. It literally looked like something out of a story-book or a movie driving through the canyon. Since we’ve gotten so much rain this year all the hills are blooming with green hills and the poppies are actually blooming early this year because of the abundance of water. 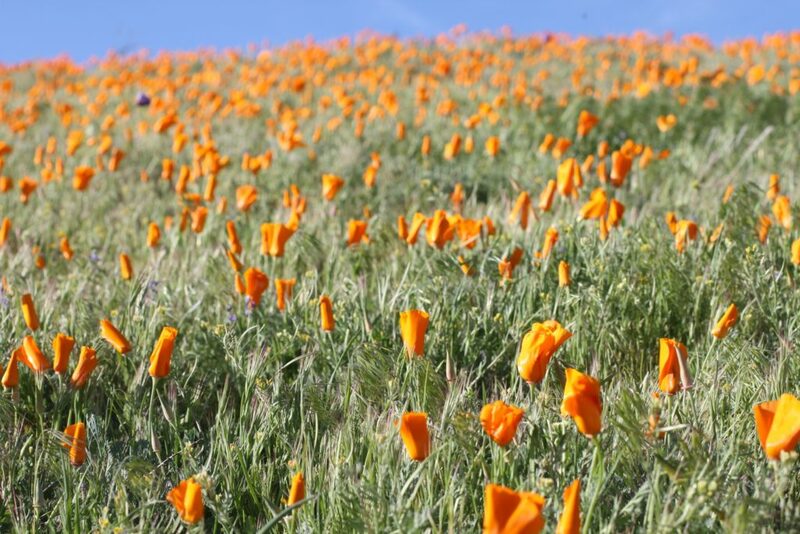 These poppies only bloom once a year and you aren’t allowed to pick any flowers. The park was actually created because vast carpets of flowers are becoming rare. Every flower that is on the field contributes to the effect and they produce seeds for future blooms. All the flowers in the park are protected. I decided to wear this spring dress from Express that is a breezy easy-wear day dress with a kiss of casual elegance. It was literally fluttering in the air and the baby was enjoying it each step of the way. Express has so many pretty floral dresses right now. Shop my selection below for more spring dress inspiration! P.S. I can’t wait to bring baby Liv back here next Spring and take photos of her!